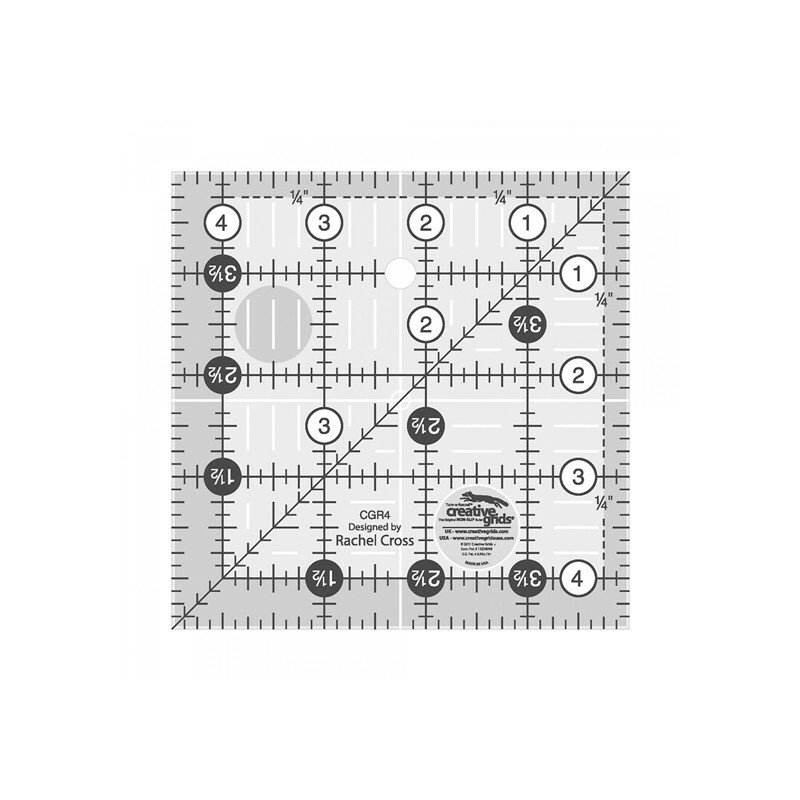 Add A Quarter Plus 12″ Ruler simplifies foundation piecing. One edge is tapered for folding back foundation paper and the other side has a 1/4″ lip so you can quickly trim the seam allowance with your rotary cutter. 2″ x 12″ Pink ruler.